ALAMEDA | MAYOR | Housing is a hot-button issue in many Bay Area communities. In Alameda, the traditionally insular island city, has a different variation on the topic—not only is the specter of rising home and rent prices becoming more apparent, the promise of Alameda Point–with more development and more traffic is highlighting distinct differences between the two candidates running for mayor. 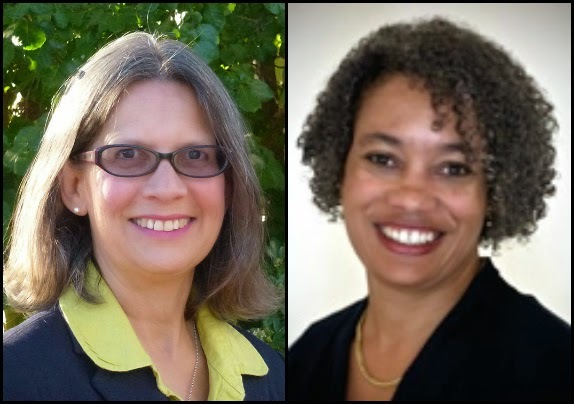 In fact, you would be hard-pressed to find another race this fall offering a more contrasting platform than those between the campaigns of Mayor Marie Gilmore and Alameda school board member Trish Spencer. Gilmore is for developing Alameda Point, the large parcel that once housed the Alameda Naval Air Base a generation ago. Last year, the Navy transferred the deed to the land to the city at no-cost. Spencer wants to stanch development in general on the island because of growing traffic concerns in Alameda. Parks and recreation would better benefit all Alamedans, she said Sept. 18, at a candidates forum. “We know we’ve got beautiful property there,” said Spencer, of Alameda Point. “We know there is housing developers that want to come here and build, build, build. We know that. Is that best for Alamedans? No. Many of us do not want that.” Spencer said the city should not focus on adding retailer who often offered low-wages to employees, but higher paid businesses in burgeoning green tech industries. Posted in Alameda, Alameda naval air station, Alameda Point, candidate forum, housing, Marie Gilmore, mayor, November election, Oakland, traffic, transportation, Trish Spencer, Webster Tube. Bookmark the permalink. If Marie Gilmore's approach worked, then we would see no traffic gridlock in high-density, transit-oriented places like San Francisco and Manhattan. And yet, automobiles are a big problem in those cities. Spencer has the right approach. Spencer's track record on the AUSD board is to vote “no” on everything — no to new parks, no to funding for the pools, no to funding for safe school buildings for kids. She would be a disaster as mayor. Spencer is endorsed by Friends of Crown Beach and the Green Party of Alameda County. Spencer collected signatures to protect our golf course and Crab Cove. Spencer signed the ballot argument against SunCal. Spencer voted against City leaders’ multi-million dollar land “swap” with AUSD, done secretly without appraisals to maximize developer profits over our children’s future. Spencer voted 'no' so many times on the AUSD board because Gilmore's developer cronies kept pushing forward bad proposals for land swaps and other sweet deals that will cost the district, and the kids, money. Kirsten Vital, Mike McMahon and the other board members were always too happy to go along with screwing the kids, however.